Get A FREE Brochure from "Margene’s Bridal"
At Margene’s Bridal we embrace your wedding ideas and want you to have your perfect dress for your special day. Your wedding gown is an expression of your personal style and by having gowns in stock ranging from vintage to boho chic, from traditional to contemporary we are able to help you look your best. 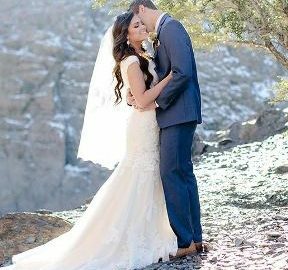 With a large selection of private gowns you will also find unique and stylish gowns not available online or at any other store in Idaho! For over 35 years, Margene’s has been helping brides find amazing dresses to wear on their wedding day!